To translate this page - select any of the languages shown below. 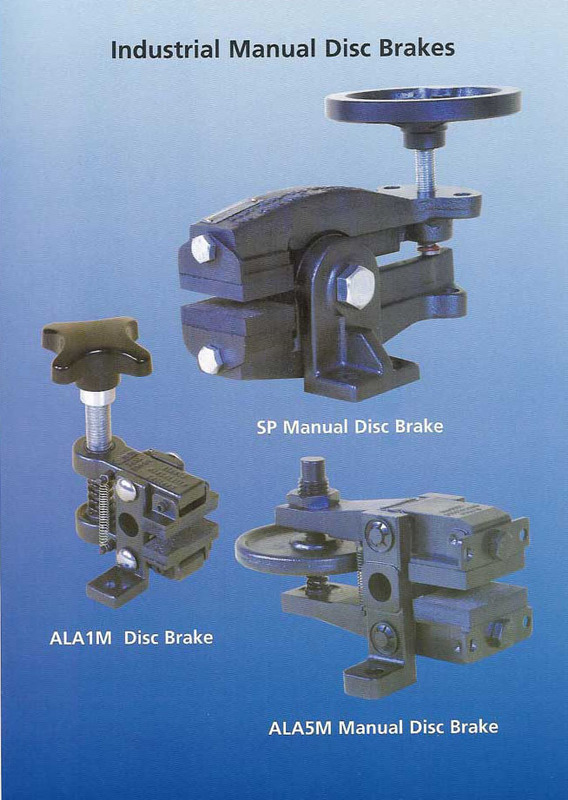 Alanco Alamatic are one of the United Kingdom's leading industrial disc brakes manufacturer. We are based in Denton, Greater Manchester, United Kingdom - and can offer a worldwide service to their clients. Our diverse range of products are used for converting applications, where the manufactured item is in reel form. Typical products, in reel form, include paper, plastics, plastic film, aluminium foil, textiles, cables and steel. Our industrial disc brakes (industrial disk brakes) can also be used in a wide range of linear applications such as test rigs, conveyors, bridges and tension control systems, in addition to general stopping, or holding duties, for industrial machinery. We can offer you a vast range of products to satisfy your particular problem. As we are specialists, in industrial disc brake, do not hesitate to contact us to see if we can solve your braking problem. Alanco Alamatic have been solving customer problems, in these areas, for the past 50 years - contact us now for professional, prompt, impartial advice and let us find a solution to your industrial disc braking (industrial disk braking), safety chucks or tension control problem. We commissioned Softcell Systems to design another web site suitable for smart phone usage. Our main web site is www.alanco-alamatic.com cannot be made suitable for use by smart phone users This is because our main web site contains full sized brochures, 3D images (which one can download) and numerous technical drawings. These pages would be extremely frustrating to view on a smart phone - regardless of model. We therefore encourage you to visit our main web site when you have access to a desktop, laptop or tablet. For those of you already viewing this page on a desktop, laptop or tablet, please click on the link above to visit our main and comprehensive web site. In response to Client requests we now accept payment by major Credit Cards.